Spring 2014. Decided to try growing asparagus, which is something I’ve had my eye on for years. I suppose I could have tried it in a giant container before I had my own earth to plant in… but that doesn’t seem like the right approach for a longterm perennial. 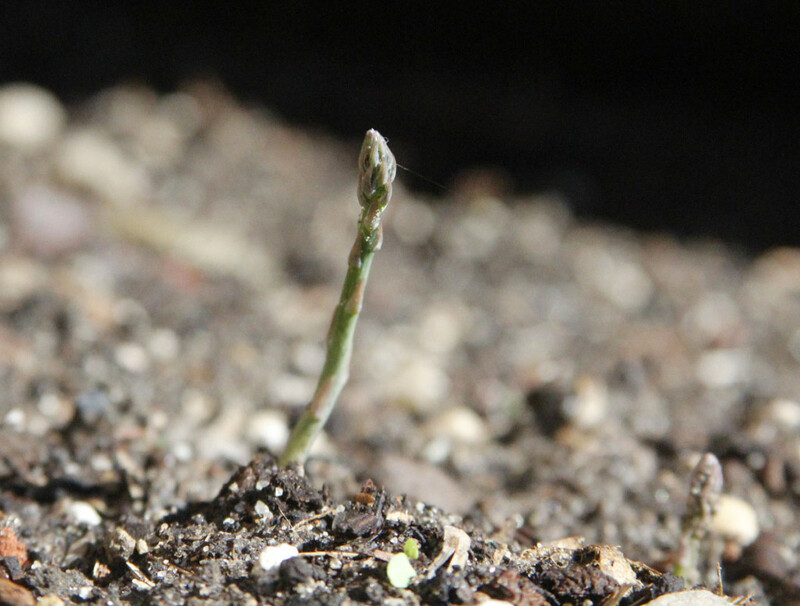 Asparagus grow as bundles of roots which send new shoots up every spring. If cared for, supposedly they can thrive for decades. So, off to YouTube I went in search of some advice from seasoned asparagus growers, which it turns out are in short supply in my neighborhood. I soaked each crown in advance of planting. 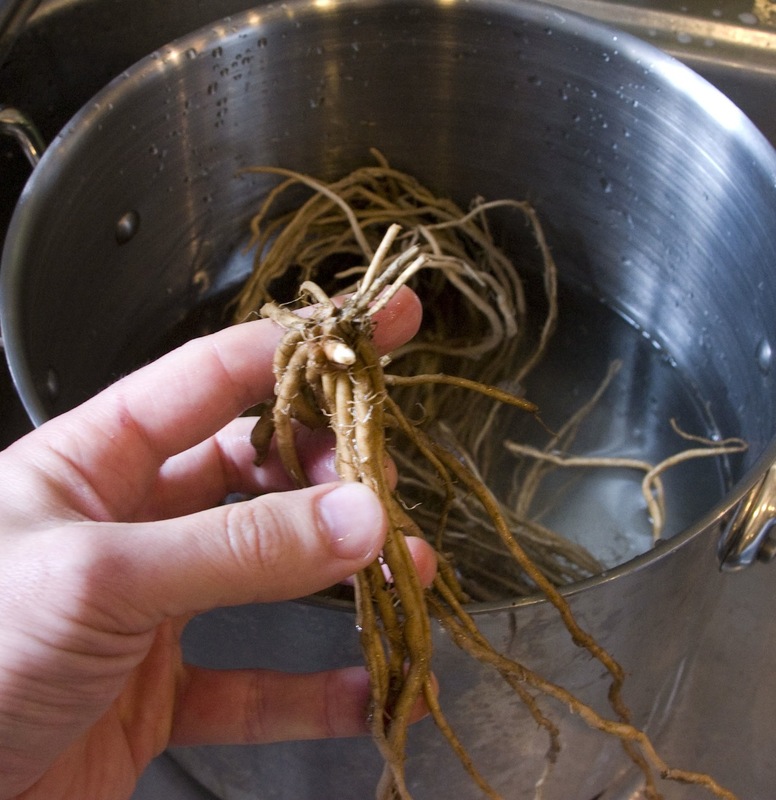 Each is a bundle of roots growing out from a single whitish bud, which is really a pre-asparagus shoot. I ordered 10 crowns, five for each side. You can see one of the root buds forming little white shoot, somewhere around the middle of my index finger in this photo.